When I was young in Ohio, lots of people had Ketchup as permanent fixtures on their kitchen and/or dining room tables. No matter what the meal, Ketchup was there to sweeten it. My mother would not permit us to use Ketchup unless it was with hamburgers, hot dogs or French fries. Unless one of those three foods were being served, Ketchup was in the refrigerator brightening the top shelf. 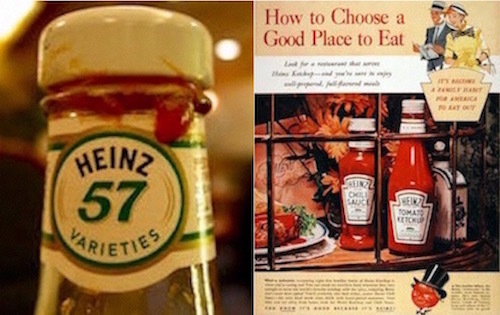 Ketchup was the American Sauce and came in the distinctive Heinz bottle with its 57 varieties label. (I always wondered “57 varieties of what?”) and it is still America’s preferred condiment and available in all “fast food” as well as some “fine dining” restaurants (if one asks for it). Henry Heinz just liked the “feel” of “57 varieties” and it was close to 60, the number of products he then manufactured. 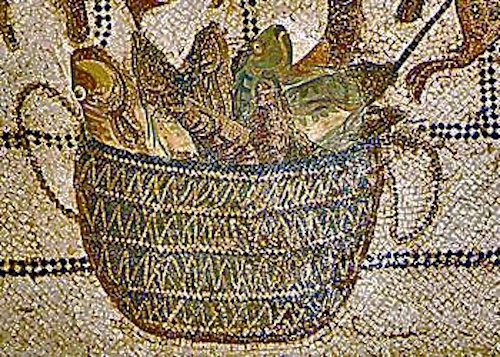 I was shocked to discover the word “ketchup” originated in the far East from the Chinese word koechiap meaning “brine of fish.” Shocked because a “brine of fish” was GARUM, the everyday condiment of ancient Rome consumed and eaten with everything daily by Romans, Christians, Greeks and all at that time in history. 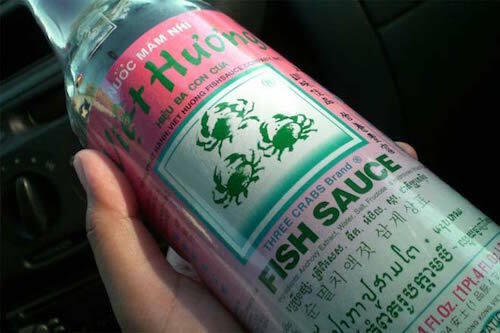 Plus that putrefying fish sauce, tasting fishy and salty, seems to have been universally used as a condiment throughout the ancient world and even in our modern world. Use fatty fish, for example, sardines, and a well-sealed (pitched) container with a 26-35 quart capacity. Add dried, aromatic herbs possessing a strong flavor, such as dill, coriander, fennel, celery, mint, oregano, and others, making a layer on the bottom of the container; then put down a layer of fish (if small, leave them whole, if large, use pieces) and over this, add a layer of salt two fingers high. Repeat these layers until the container is filled. Let it rest for seven days in the sun. Then mix the sauce daily for 20 days. 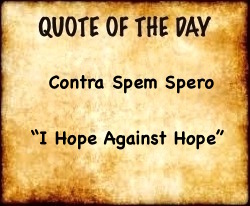 After that, it becomes a liquid (garum also called liquamen in ancient Rome). Our Garum, Ketchup, has no fish component. Plus it is not smelly like Garum. But it has become the universal red sauce of the western world. The reason is: tomatoes. The tomato is indigenous to the Americas, The rest of the world did not know about the tomato (or the potato) until the discovery of the Americas in the 15th century. 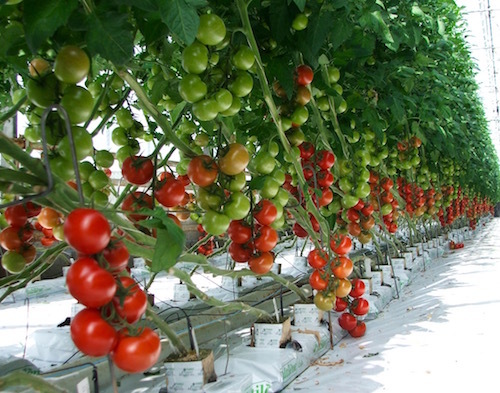 The first man to compose a recipe for a tomato condiment was the horticulturalist James Mease in 1812. Fast forward to 1876 when Dr, Harvey Wiley partnered with a Pittsburgh man named Henry J. Heinz to make another tomato-based condiment. 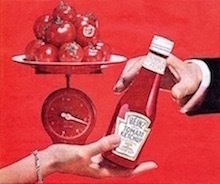 Thirty years later Heinz was selling 5 million bottles of Ketchup. Today Heinz sells 650 million bottles around the world and it sells 11 billion single-serve packets to the fast-foods industry. 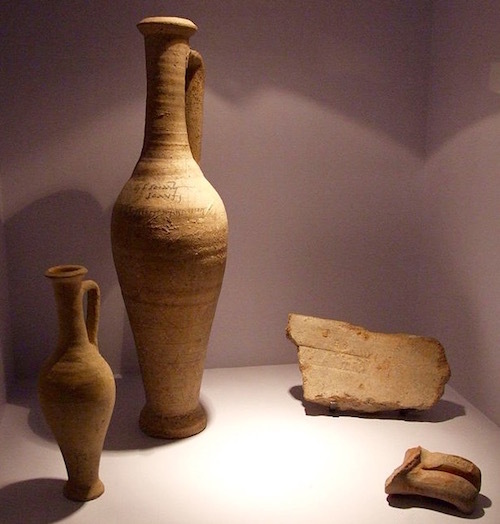 It would be impossible to estimate how many small, medium and large amphorae (jars) of Garum were made and consumed in the ancient world. Garum did not have 57 varieties but there were many varieties and prices for different Garums. The highest quality of a Garum could cost up to c. $500. USD for the very wealthy. 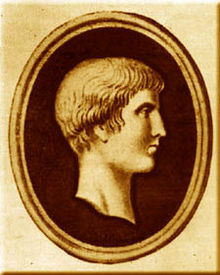 Martial (c. 40 BC-c. 101 AD) comments on the “expensive” high-grade Garum he is sending to a friend: “Accept this exquisite sauce made from the first blood of the expiring mackerel; an expensive present.” Martial Epigrams 13:102. 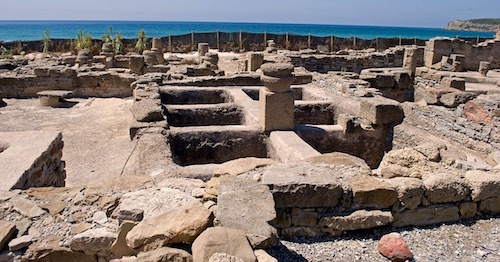 Garum was made from a paste that came from the unwanted intestines and the blood of the fishermen’s daily catch. 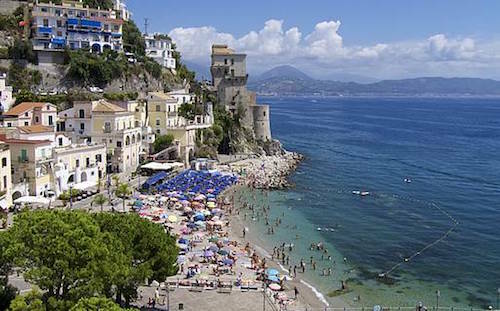 So there was a close relationship between the fishing industry and the Garum industry. Harborside, the manufacturers of Garum would pick the particular pieces they wanted from certain fish (mackerel yielded the best taste apparently) and the quality of Garum started there. 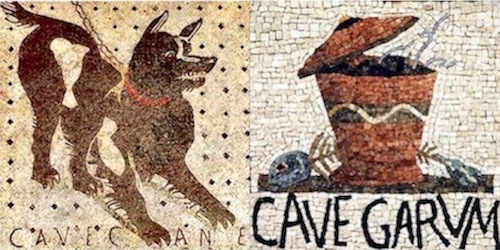 Those particular parts were macerated into a paste in the Garum factory. Salt was added to kill bacteria and enhance flavor. Then the mash was left outside to ferment in the sun for up to 3 months. That is the basic Garum recipe. 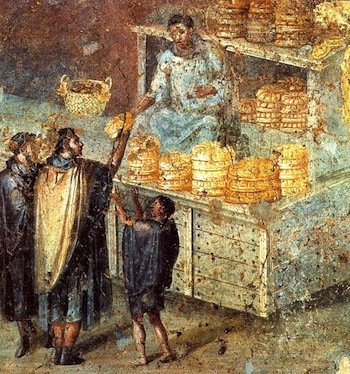 For higher quality and taste a mixture of aromatic herbs could be added or wine could be added or oils or whatever grade and taste of Garum was required from that factory. The importance of fermentation cannot be over-stated.